Sample storage at cryogenic and extremely low temperatures provides security for biological specimens and derivatives of those specimens, genomic material, and compounds over extended periods of time. Preserving the information associated with stored samples is a critical part of the storage process, as unidentified samples in storage are unusable and serve no purpose. Pipette.com has proven solutions to track and preserve your samples. 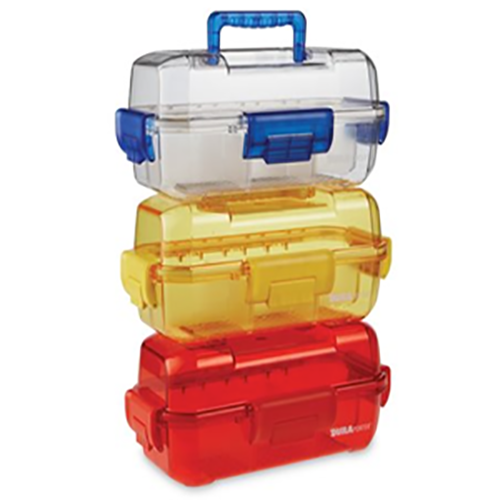 Designed for collection, transport and storage of specimens, the polypropylene containers are safe to use even in adverse conditions. This model Simport SecurTainer™ II Tamper Evident Specimen Containers uses a different tamper evident concept when compared to the SecurTainer™ I Series. No locking tab is necessary when the tamper evident feature is used. Simply screw the cap on the container and the tamper evident sealing ring is automatically locked in place. When unscrewed, the ring is detached from the cap, showing clearly that the container was opened. In recent years there is an increased focus on disease control within hospitals, field hospitals, sea-ports, airports, clinical and research laboratories, etc around the world. Heathrow Scientific aims to help these establishments safely handle, store and transport potentially infectious specimens within the facility with the Duraporter® Sealed Specimen Transport Box. The Heathrow Scientific Duraporter Sealed Specimen Or Sample Transport Box / Tote specimen or sample transport tote is a durable, waterproof, leak-proof container that is easy to load, securely locks and is ready for safe transport with ease. It is available in clear, translucent red and translucent yellow colors. With these transparent colors, the Duraporter® provides needed visibility for content identification and protection during sample transport.